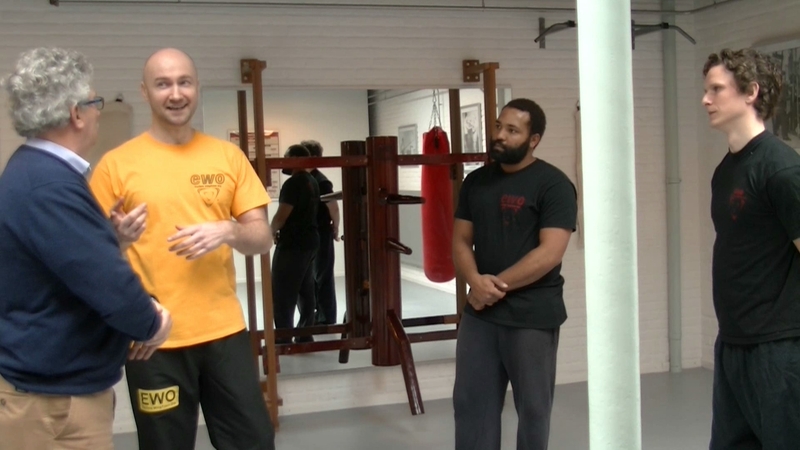 ‘Loetje en den Boef’ (local TV show, TV Enschede FM) talks to Sifu Edgar Zimmermann – Enschede, 15/3/2016. The entire interview (part 1 & 2) is in Dutch. 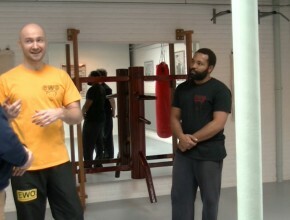 Sifu Zimmermann explains EWO WingTczun and effective self defense in a simple way. With Sjoerd Knobben and Jeroen Lourens. The original interview aired on 24/3/2016 on the local TV station (www.tvenschedefm.nl). These are the ‘Directors Cuts’ (longer versions) part 1 and part 2. Part 1: https://youtu.be/hqzHnFOLkV4 or www.YouTube.com/c/EWOinfo. Many thanks to ‘Loetje en den Boef’ (www.Facebook.com/Loetjeendenboef) and a special thanks to Evert den Boef (cameraman) who provided the HD recordings. EWO Workshops 2016 (till July): 28 May, 25 June.